Raging floods rip down a bridge near Austin, Texas | We Seek the Truth! The Llano River rose to 30ft (9.1m) above flood level, according to local news. 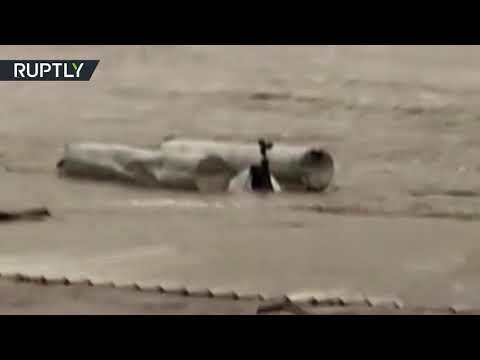 Footage shows parts of the FM 2900 bridge being carried down the river in Kingsland, northwest of Austin, after it had collapsed.